PowerVCS is a cloud based version control system for software. It consists of a browser interface, a command line interface and an SCC-API-compliant plug-in for software development IDEs that support the Microsoft Common Source Code Control Interface Specification. 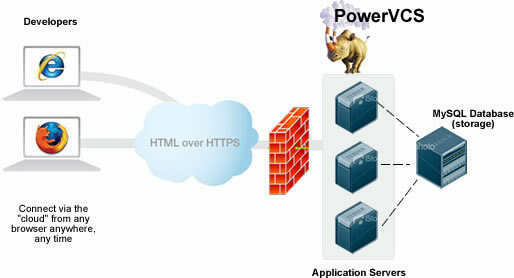 PowerVCS saves the source versions in a mySQL database Repository on the web server. Files are checked out to local working directories and checked back in to the web server.